BY SETTING up a marketing program in advance, people boost their impact on business revenue while minimizing day-to-day activities. In particular, an automated email campaign allows one person to reach a growing number of potential customers and clients without having to scale up their time commitment. Using automated tools is a powerful way for businesses to find these new leads, increase their productivity, and make more sales. 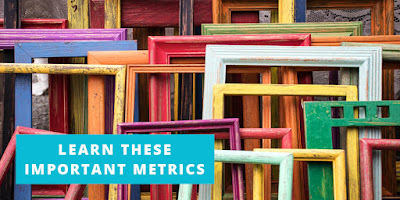 But to succeed at creating emails that connect with an audience, you need metrics to assess your progress. High-performing marketers aim for a 25% open rate, which signals that their automated emails are resonating with a quarter of their audience rather than landing in the trash. Just in case you need a reminder, open rates are the percentage of your readers who click on a subject line to read your message. When people sign up for your automated emails, they’re much more likely to open your messages, move through the sales funnel, and become loyal customers. To gain a reputation as an upstanding business — and benefit from high click-through rates — always grow your list organically. By contrast, subscriber information on purchased lists is extremely unreliable. Using these purchased email addresses can cause both spam complaints, and prompts a high unsubscribe rate. You can also increase your open rate with catchy, short, and relevant subject lines. Rather than trying to sell products, the best subject lines focus on the contents of the email — they’re informative and engaging, urging your audience to move toward a purchase. When you set up an automated email marketing program, always include a link from each email message to your website. This point of access encourages readers to take the next step and discover your brand or a particular product. Click-through rates are the percentage of your subscribers who “click through” these links from your email to your website. To maximize the number of people who click from an automated email to your website, make sure to clarify the next step with a strong call-to-action (CTA) to your email. Experts suggest that you aim for a 5% click-through rate for your automated marketing plan. Always ensure that your automated messages — and particularly your CTA — are readable on mobile phones. With 65% of emails opened on portable devices, unclear messages will minimize your click-through rates. Work toward reaching that metric by creating a clear, enticing CTA that you include in automated emails. Landing pages are the form a reader sees when they click through to your website. 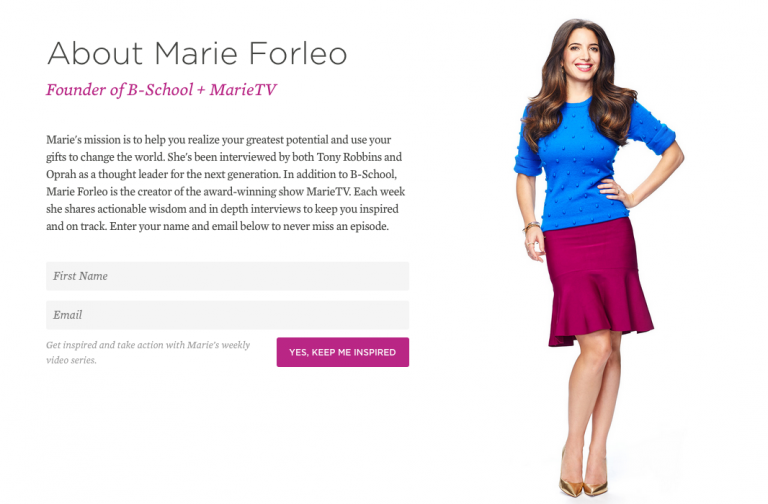 Marie Forleo, for example, links to this landing page from automated emails about B-School. She asks her community to sign up for more information about her class. When people show interest, her automated marketing software triggers a weekly video series that’s sent straight to their inboxes. When planning your automated email campaign for a particular service, product, or offering, think of something that your ideal client absolutely needs. This offer could include an e-book, a free course, a discount on a product — or in the case of Marie — a video series. Create automated emails to sends this incentive to individuals when they sign up for the program, or for more information, through the landing page. Landing page conversion rates give you a sense of your success at this mission to promote a product. It answers the question, “What percentage of readers are filling out the form and moving toward the next level of engagement with this product or service?” Aim for a landing page conversion rates that reach 15 to 20% by pairing an awesome incentive with an engaging landing page! Automated marketing plans build on the strategy to reach your ideal audience, but a lot of business leaders don’t know when they’re inching toward success. 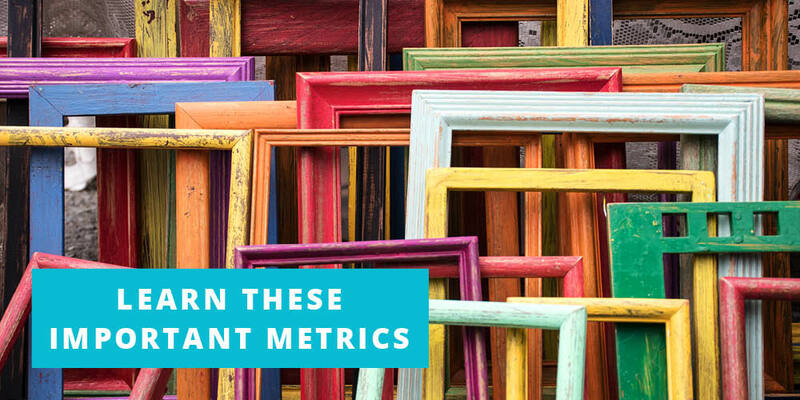 When you start to meet these benchmarks, you know that the right people are opening your emails, clicking-through to your website, and filling out your landing pages. By intentionally planning your automated marketing in advance — rather than on the fly — you pave a path toward success for your business.